Hey Yall! Have you ever wondered if store brand products are just as good as name brands? I'm here to tell you that I enjoy purchasing store brand products because first of all you save a buck or two, plus the products are just as good as name brands. Yes, the store brand products may be a bit different sometimes, but still works just as good. With me and Mr. M both working for ourselves, we have to make sure our money stretch as long as it could. As the saying goes, every dollar saved is a dollar earned. Currently, my beauty product usage has changed a bit after I found out that Dollar General has launched their own beauty care line, Studio Selection. Studio Selection helps consumers feel pampered and beautiful without spending a fortune. The new Studio Selection line's quality products afford customers with a unique brand experience coupled with everyday indulgence. The Studio Selection arrived in Dollar General stores in late June, and it offers a 100-percent satisfaction guarantee on products that include shampoo, conditioner, body lotion, body wash, facial cleansers and moisturizers, bath fragrances and more, all at an everyday low price. I haven't shopped at Dollar General for years until I heard about the new Studio Selection launch. I'm a sucker for beauty care items, so I had to check out this product line. When I visited Dollar General to check out Studio Selection, the majority of the products were sold out, that's a good sign that the beauty products must be exceptional. But, I managed to get my hands on the beauty products I use regularly. First, I noticed the packaging, looks similar to the brands they are duplicating. Secondly, each packaging says what the product is compared too. Which makes me wonder, can store brands copy name brands? I guess so if they don't have a patent. Check out the beauty goodies I got! And guess what! I got all this for under $10! SCORE! Silky Smooth Body Wash- (Compared to Caress Daily Silk Body Wash) I used Caress plenty of times and didn't see a difference with Studio Selection Silky Smooth Body Wash. Suds up nicely, getting me clean with silky soft skin. The scent is just like Caress with a thick, smooth floral aroma I adore. This body wash will be heavily used throughout the summer into the fall months. 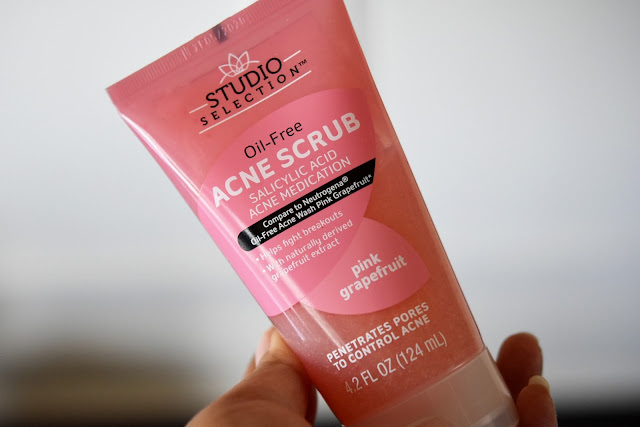 Oil-Free Acne Scrub- (Compared to Neutrogena Oil-Free Acne Wash Pink Grapefruit) I have used Neutrogena Pink Grapefruit wash too, and I see a bit of a difference between Neutrogena and Studio Selection. The Studio Selection Acne Scrub Wash micro grapefruit seeds seems a bit bigger and don't break down as easily like Neutrogena when you're washing your face. But other than that, it's a solid product. After washing my face, my skin felt renewed. And, I love the sweet smell of grapefruit! It reminds me how much I enjoyed the Neutrogena Pink Grapefruit line. Remember my post about it back in 2014? 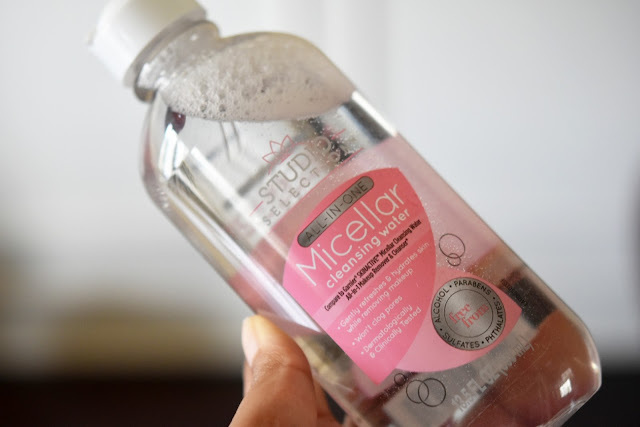 All-In-One Micellar Cleansing Water- (Compared to Garnier SKINACTIVE Micellar Cleansing Water All-In-1 Makeup Remover & Cleanser) I haven't used Garnier cleansing water, so it's hard to compare the two. Studio Selection version is excellent; I'm quite surprised! The cleansing water deeply cleaned my skin of the dirt and makeup that my facial wash left behind. 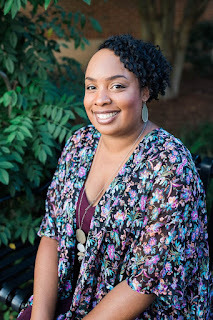 My skin looked dewy, refreshed, and hydrated after use! No wonder I see a lot of cleansing water products out on the market, these cleansers work amazingly! And to top it off, Studio Selection Cleansing Water is free from alcohol, parabens, sulfates, and phthalates. 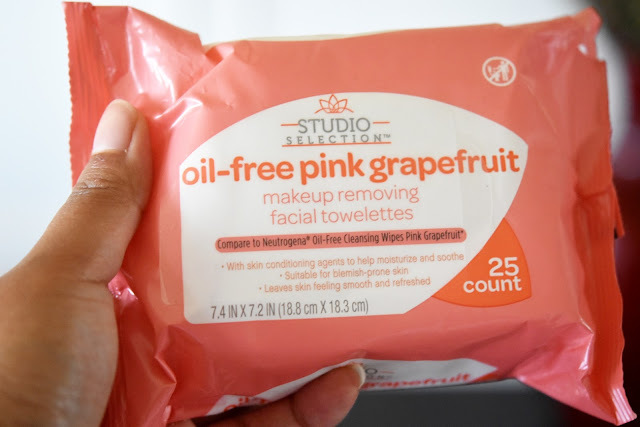 Oil-Free Pink Grapefruit Makeup Removing Facial Towelettes- (Compared to Neutrogena Oil-Free Cleansing Wipes Pink Grapefruit) I use facial towelettes when I travel because of it being easier to pack in my suitcase and purse, instead of having a bottle of cleansing water and cotton pads. I didn't see a difference between Neutrogena or Studio Selection, with Studio Selection working fine removing makeup from my face. The conditioning agents from Studio Selection facial towelettes condition my skin revealing moisturize, soothe skin that didn't need a moisturizer afterward. I'll be headed back to Dollar General to try out their other beauty care line soon. I'm overjoyed Dollar General provides alternatives to my favorite beauty brands at a price that's more affordable without skipping out on quality. Disclosure- This is a sponsored post written by me on behalf of Dollar General. All opinions are 100% mine. I received compensation for this blog. Have you tried Dollar General's Studio Selection Beauty Care Line? Yes I have found that most dollar store items are comparable to name brand products, however, that hadn'talways been. I am a little leery of cleaning products filled with water or cancer-causing toxins which I stay away from, foods included! I haven't been in a dollar store in years. When it comes to cleaning products, I mainly buy name brand products. Im in a dollar store group on FB. Alot of people were saying they were selling 1 dollar Shampoo that Sally Beauty store sells for a 18 bucks. Idk if you have Big Lots in your area, but they sell a lot of expensive products from overseas for cheap prices. Wow Kimchi! I need to start going back to the dollar store! I'm unsure if I have a Big Lots in my area, the one I use to go to awhile back closed down. But I'll check to see if there are other Big Lots around. I haven't been to Dollar General - I need to find where one is- but I'd get some of that Micellar water and body wash for sure! You're going to love the Micellar Water! I've been seeing a huge improvement with my skin after using it. It's now my holy grail!